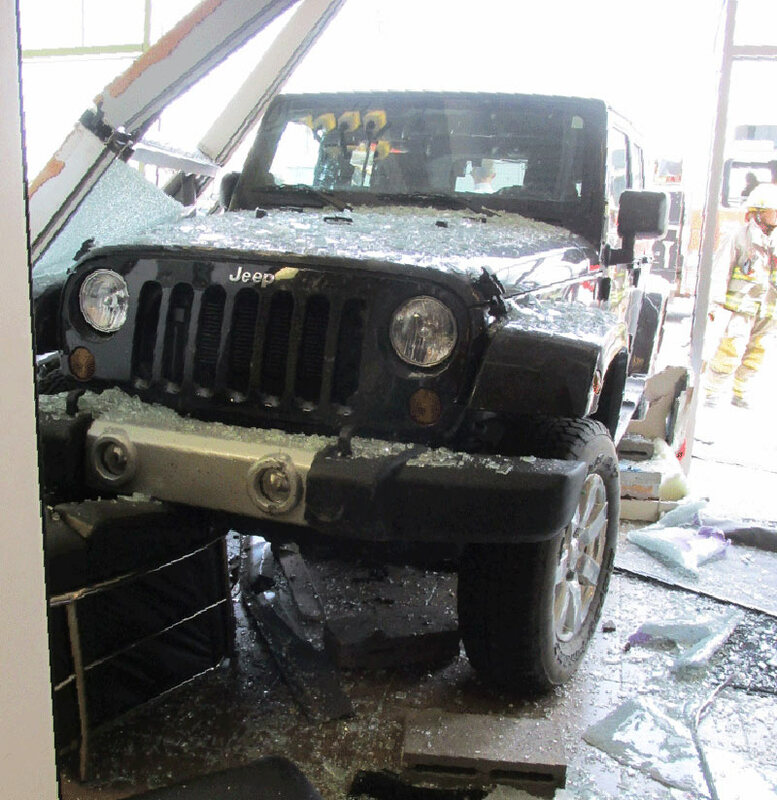 On July 14, 2014 just before 2:00 p.m. Chestermere Emergency Services responded to a vehicle collision where a Jeep was driven into a local business in Chestermere. This business, located in 100 block of Marina Drive, sustained extensive damages to the store front as a result of the collision. It was determined the driver, who was parking in front of the business, inadvertently stepped on the accelerator rather than the brake causing the Jeep to jump the curb and smash into the building. There were no injuries resulting from the collision but there was a narrow miss for one of the store employees. The driver of the Jeep, a female resident of the Chestermere area in her 40’s has been charged for her driving into the building.